Emuaid for Neuropathy Review: Does it Really Help Provide Relief? There are many different treatment options for neuropathy that a person with this condition will consider. Of course, medication and pain management are some of the first steps that people take when it comes to trying to take care of all the symptoms. However, there are times when prescription medication from a doctor isn’t the right treatment. Some people might not be too comfortable with taking a lot of medication due to negative side effects and possible interactions. Summary: Although Emuaid may provide some temporary pain relief, our readers have told us they get better long term relief taking this product instead. What Does This Mean for Emuaid? Other people might not have their problems solved with medication from doctors. 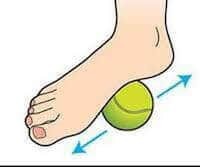 With that being said, there are other solutions to managing the symptoms of neuropathy. According to some professionals, one of the many ways that one could treat the symptoms of neuropathy is through topical treatments. One of the most common types of topical treatments is capsaicin cream. Capsaicin is actually the active ingredient in chili peppers and is what makes them hot and spicy. That same heat can be used to dull some of the pain that a person who suffers from neuropathy might feel. The initial burning and irritation that people feel when first using capsaicin typically goes away after a while but some people cannot tolerate it, making it not the most suitable form of topical treatment for some people. Another type of topical treatment known as lidocaine patches works by affecting the skin that the patches are placed over. While many people find this to be helpful, there are a number of side effects such as drowsiness, dizziness, and numbness that make it not the most suitable for everyday use. This means that there aren’t too many topical treatments that work without making a person’s life more difficult in one way or another. However, there are some topical treatments that have almost no side effects whatsoever. One of these treatments is known as Emuaid. 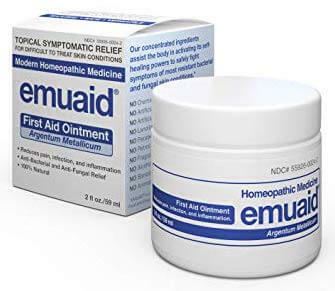 Emuaid is described as a homeopathic product that one could use for treating the symptoms of neuropathy. 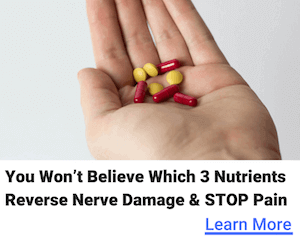 After all, it is designed to be a topical analgesic, an anti-inflammatory, and a topical antiseptic, making it a good way for a person to relieve the symptoms of neuropathy through a homeopathic method. Emuaid’s active ingredient is “argentum metallicum”. Argentum is another name for silver. When it comes to homeopathic remedies, argentum metallicum is known for helping with a number of different conditions including the pain that comes from neuropathy. Emuaid itself works by utilizing the silver among a mixture of oils and other ingredients to lessen or even completely stop some of the pain that a person might feel from neuropathy. Some of these ingredients are more commonly known as vitamin E, amino acids, and probiotics. These ingredients all work together to provide broad spectrum healing and relief. This means that a person won’t have to rely on chemicals, steroids, artificial preservatives, and other problematic ingredients when using the topical treatment of Emuaid for treating the symptoms of neuropathy. Some people might be wondering if topical treatments really work for treating neuropathy as neuropathy is a disease that affects the nerves. The truth is that it is very possible that it can. After all, topical treatments are designed to soak into the skin and occasionally into the bloodstream. This makes it perfectly logical to believe that topical treatments would in fact work on issues such as neuropathy. There have been quite a few studies that focus on this topic and idea. For example, one study has concluded that topical treatments generally have low systemic side effects and drug interactions and also bring about satisfactory relief from pain brought on by neuropathy. This study in particular focused on localized neuropathic pain syndromes (LNPs) and how topical application of certain local anesthetics, general anesthetic agents, muscle relaxants, capsaicin, anti-inflammatories, salicylates, antidepressants, and combinations of all of these affect the symptoms of LNPs. This goes to show that topical treatments, or at least LNPs specifically, do appear to have some sort of effect on neuropathy. Another study that compares how well topical treatments line up with standard oral medication shows that while certain types of licensed topical treatments do not perform up to standards, there is one that showed a “non-inferior efficacy” compared with other oral medications. As this study states, generally topical treatments are not the first line of thinking when it comes to treating neuropathy; however, there is budding evidence showing that it might be a good idea to consider topical treatments for neuropathy, especially when oral treatments are not the most suitable option. In particular, lidocaine 5% did not perform on par with oral medicines. The other licensed topical treatment that was tested was capsaicin 8% in a patch. This was the one that performed with non-inferior efficacy. This result also goes to show that topical treatments are not a lost cause for treating the symptoms of neuropathy, making the possibility of Emuaid working even better. A large study that spanned 277 people ultimately proved that a specific type of topical treatment, capsaicin, worked for the majority of people despite bringing minor adverse effects in patients. This study had checks at two, four, six, and eight weeks during the entire eight-week trial. 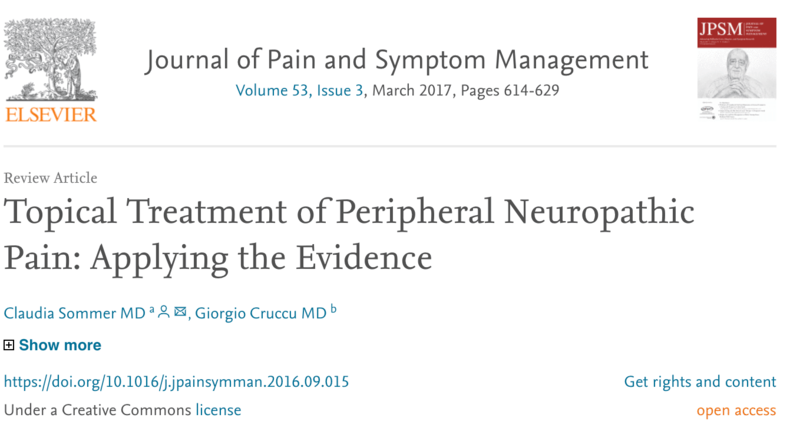 The patients in the trial all suffered from peripheral neuropathy that caused daily pain or a similar condition. Patients who were on the topical treatment reported more pain relief and less pain than the control group, once again proving that topical treatments can and will help with the pain and symptoms of neuropathy. All of these studies have shown that clinical trials, often using some form of drug, have positive results. But if a person is looking for a homeopathic remedy such as Emuaid, then the trials for chemical medication aren’t going to be of use. What that person needs is proof that homeopathy can help with the symptoms of neuropathy, just as topical treatments can. 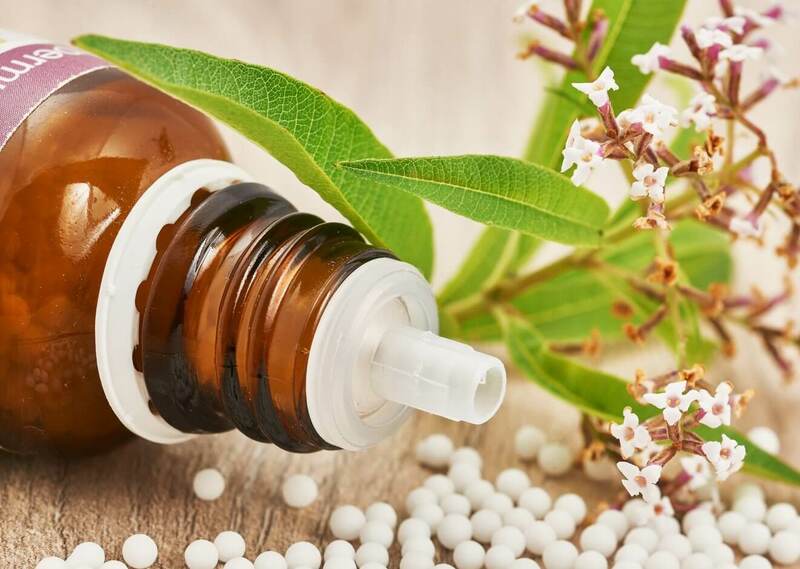 Thankfully, there are studies that clearly show that homeopathic remedies can in fact relieve the symptoms of neuropathy, making life significantly easier. This study was done during the Cuban epidemic neuropathy crisis in the early 1990s. Ultimately, many of the subjects who were recruited showed some improvement from their neuropathy. This form of neuropathy severely affected the eyes but color vision, visual acuity, and the visual field improved after the homeopathic treatments. This means that there is evidence that homeopathic remedies such as Emuaid can help with neuropathy. For people who are looking for homeopathic remedies for this illness, there is some hope in the world. Another observational study was done for people who suffered from Type 2 diabetic neuropathy. As this study was observational, there were a few things that people who are looking into homeopathic treatment for neuropathy should note. This study showed that through homeopathic treatment, there was a better improvement in symptoms than in the group who went with traditional medicine. QOL, or quality of life, scores only improved in the group that did homeopathic treatment. Blood glucose and glycated hemoglobin was also slightly decreased in the homeopathic group. In addition to this, homeopathic treatment was also cheaper than conventional treatment, which is very important for many people. Considering that there are studies that both prove the effectiveness of topical treatments and homeopathic treatments for the symptoms of neuropathy, it is safe to consider the idea that a homeopathic topical treatment could easily solve some issues with neuropathy. After all, the active ingredient in Emuaid is silver, which has been proven to have some positive effects on the body’s health. The studies that demonstrate the effectiveness of topical treatment all show that there is some truth to the idea that topical treatments are one way to alleviate the symptoms of neuropathy, sometimes on par with oral medication. This means that a person could consider using Emuaid as a topical treatment for neuropathy without the worry of side effects or other troubles that one could get from conventional medication. When it comes to homeopathic remedies, there is some research that shows that homeopathic remedies do have an effect on neuropathy. In the Cuban study, it was shown that several people improved when treated with a homeopathic remedy of several vitamins combined. Since Emuaid does have a few vitamins in it, there’s a good chance that it can provide similar treatment and comfort. The observational study also showed that people who took homeopathic treatments for neuropathy had several improvements or were otherwise on par with the people who were taking conventional medication. In fact, the homeopathic group had some improvements in QOL and the price to maintain a homeopathic treatment was less than the group who took conventional medicine. Both of these points go to show that not only can homeopathic treatments perform on par with traditional medicine but in some cases, they can be even better. 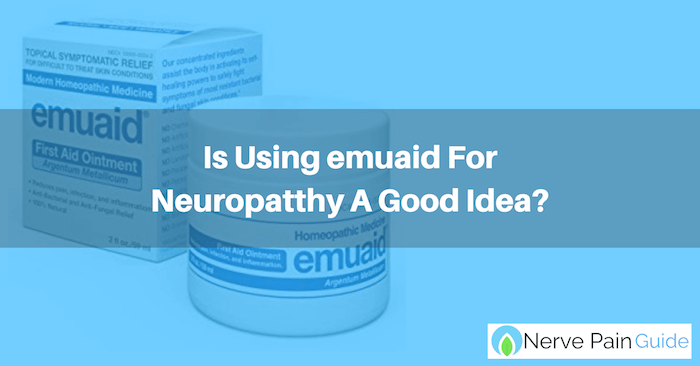 If a person is considering a homeopathic topical treatment for neuropathy, then Emuaid might be a solid option to consider. Between the studies that show the effectiveness of topical treatments and homeopathic remedies for neuropathy, it is easy to conclude that Emuaid is a safe, and possibly even beneficial, choice to make when it comes to treating neuropathy with minimal side effects compared to traditional medications.